The Elijah Board of World Religious Leaders has issued a statement condemning in the strongest terms the recent deterioration in civil and humane behavior, often including violence in the name of religion. The statement invites everyone to join our commitment to condemning such behavior. The Elijah Board of World Religious Leaders recently held its sixth bi-annual meeting at the Archabbey of St. Ottilien, near Munich. 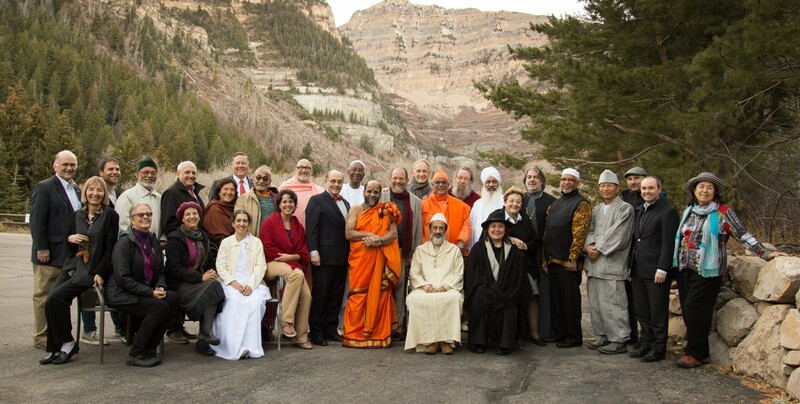 The meeting was preceded by the annual gathering of the Guerrand Hermes Forum for the Interreligious Study of the Mystical and Spiritual Life (see the previous Sharing Wisdom newsletter). The theme of “Living the Spiritual Life in Time: Consciousness of past, present and future” was chosen to complement the theme of the main meeting, “Memory and Hope”. When member of Elijah meet, the methodology is discussion and engagement, rather than lectures and speeches. 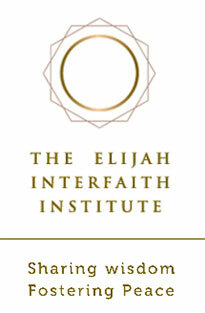 Scholars of the Elijah Interfaith Academy prepare, in advance of the gathering, the material to be discussed by participants and a book of essays is published, which participants are expected to study prior to arrival. For this meeting, the topic was ‘Memory and Hope’. We believed that this topic was of significance for interfaith relations. We did not realize just how significant it would be and the depth of discussions that it would generate. It transpired that this was a very provocative, challenging and important topic. There was a unanimous sentiment that at this meeting, the Board had reached a level of maturity and depth in its relationships that it had not reached previously. There was a feeling voiced by many that this was the best meeting we had ever had. To us, this kind of interreligious friendship and community-building has a value in and of itself. While we also seek to translate it into collaborative action, there is value in the relationships and in how they form each participant. This can be illustrated by one moving example, shared by an Israeli rabbi. This rabbi, who is a prominent voice in Israeli public discourse, is involved in interfaith relations only through Elijah (this is the only forum where he felt there is a depth of discourse that is worthy of his investing his time). One day he took lunch with the most prominent Hindu representative at the meeting. 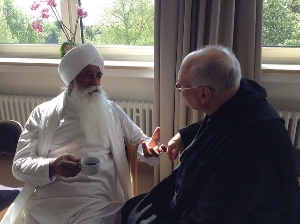 In the course of lunch, as he later told me, he decided to shift his orientation from that of a colleague sharing opinions to a disciple who seeks the wisdom of the master. Accordingly, the conversation proceeded with him turning to the Hindu master, requesting his advice on key issues that he experiences as part of his own leadership work. One of the questions he posed concerned how to bless people who come to him. People frequently ask him for blessings, and he is at a loss how to fulfill their request and what that means in terms of his relationship with them and in terms of his own self-image. The Hindu master responded: When people ask for blessings, I simply pray together with them. The rabbi found this answer most illuminating and has shared with me how it has helped him in the exercise of his own rabbinical duties. This kind of exchange requires the spirit of trust, openness and friendship that characterizes Elijah and is a typical fruit of our gatherings. 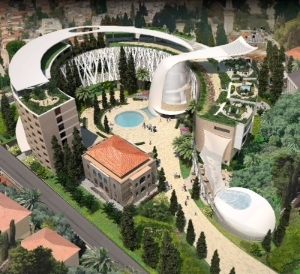 In addition to dialogue on the theme of the meeting, the Board enthusiastically committed itself to engagement with the projects that are going to be at the center of Elijah’s activities in the coming two years – the establishment of the Center of HOPE in Jerusalem and the development of a new category for understanding significant religious figures, ‘Religious Genius’. Excerpts from the papers on Memory and Hope, prepared for the meeting of the Elijah Board of World Religious Leaders, May 2014. Memory gives us the impression of stored events. However, both on the individual as well as the collective level memory is fluid and anything else than a “factual past” or “frozen time”. On the individual level we know that memory is continuously adapted to expectations, interpretations and evaluations in the present. When we compare an entry into our diary which we look up again after a certain time with what we remember of the circumstances concerning this given event right now, we would notice a significant difference. This is not only by forgetting details but also by regrouping and re-evaluating the details corresponding to the present life experience. However, humans strive for stability, for something to hold on. This seems to be a psychological necessity which, however, is a source for delusion: everything is change. Even the desire for no-change changes all the time. The famous Advaita teacher, Shankara, uses the metaphor of forgetfulness to explain the fundamental human problem. In his commentary on the Brahmasūtra 2.1.20, Shankara tells the story of a prince who was given up at birth by his parents and raised in family of fowlers or hunters of birds. The child forgot his identity as a prince and the inheritor of his father’s throne. He believed that he was a fowler’s son and learned to trap birds. A compassionate person (viz. the teacher) who knew of the boy’s royal identity explained to him that he had forgotten himself. Soon, the boy remembered his princely state and gave up the thought of being the son of a fowler. In a similar way, the human self (ātmā), is non-different from the limitless (brahman). Under the condition of ignorance (avidyā), we are not aware of this truth of ourselves. We incorrectly identify ourselves entirely with the attributes of the body, senses and mind and superimpose these upon the self. The self, intrinsically full, free, and identical with brahman is then regarded as a limited and finite entity, bound by time and space, and subject to birth, growth, change, decline, and death. Liberation is not a change in the nature or state of the ātmā. It is understanding or remembering the true nature of the self that, in fact, is not affected by misunderstanding or forgetfulness. Many widely used examples underline this fact. Liberation is compared to searching for the necklace that one wears around one’s neck but which one has forgotten. When one remembers it, one discovers that it was there all the time and never lost! Most obviously, Christian memory is carried by tradition and tradition includes, and claims to be rooted, in the core Christian narrative. This observation, in turn, leads to questions not only about the content of Christian tradition, but also about how the authority of tradition is determined and understood and which voices are included in it. What is the relationship of tradition and truth? Who gets to determine what is true? And by what authority? ……. … All the bishops of the worldwide Anglican Communion meet every 10 years at Lambeth, in England. In the last several decades, these meetings have been fraught with contentiousness over the ordination of women and the church’s stance on homosexuality, as well as struggles between the North America and European churches and those of the former British colonies, especially in Africa. In 1998, during these meetings, on August 6, the bishops of Nippon Sei Ko Kai in Japan were responsible for the liturgy of the day. August 6 is both the feast of the Transfiguration in the Christian liturgical calendar and the date of the bombing of Hiroshima during World War II. These bishops faced choices about what to remember and how. They could have simply focused on the liturgical calendar and remembered and marked the Transfiguration, a story that highlight Jesus as chosen by God and glorified. They could have called attention to the trauma and victimization of the Japanese people as a result of the American bombing. Instead, the bishops chose to highlight and remember the Japanese atrocities during World War II, to take responsibility for the actions and to ask for forgiveness for the complicity of the churches during those atrocities. A statement to that effect was handed to each person as she or he arrived for the liturgy. The daughter of the bishop of Singapore, who had been tortured by the Japanese army, preached. The congregational responses to the prayers of the people were in Korean, the language of another group systematically persecuted by the Japanese. The liturgy was intended to remember the history of that time in a way that acknowledged the misuses of power. It sought to move toward reconciliation by acknowledging, giving voice to, and empowering those who had been persecuted.